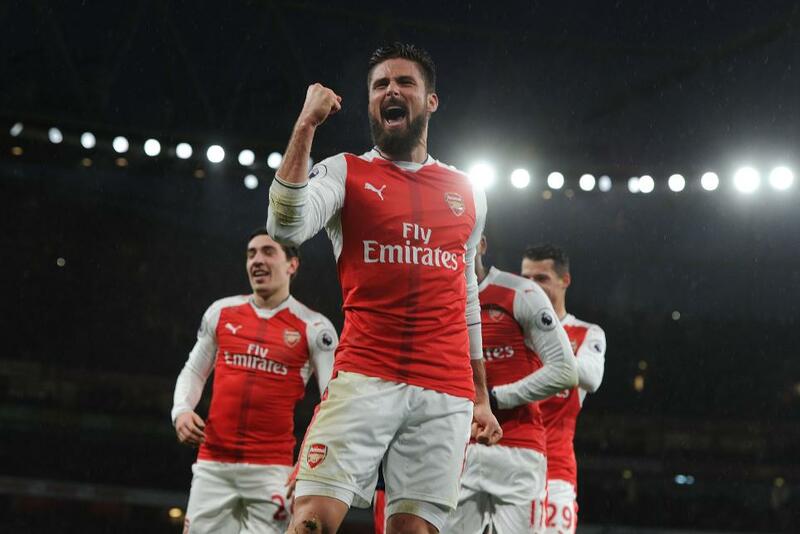 Arsenal manager Arsene Wenger says Olivier Giroud will forever be remembered for his incredible goal in the 2-0 win over Crystal Palace on New Year's Day. Having helped the Gunners lead a swift breakaway with a skilful flick, the striker surged forward and found the underside of the crossbar with an acrobatic backheel after Alexis Sanchez's cross had gone behind him. Wenger said it was "certainly in his top five" goals during his 20 years as Arsenal manager. No surprise that @_OlivierGiroud_'s scorpion kick makes it - but what others did the boss name? He told arsenal.com: "He transformed that goal into art - because of the surprise, because of the beauty of the movement and because of the efficiency. "Every striker is certainly remembered for one, two or three special goals - and that will certainly be with him forever." See: Cech - Oli has set the bar really high now!